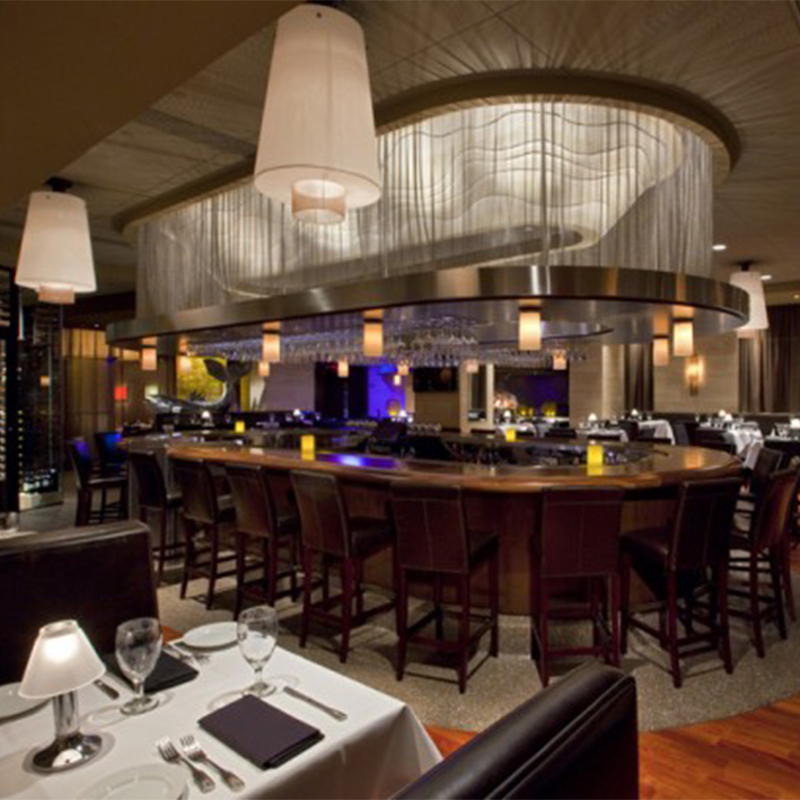 Undulating or flat, coiled wire fabric ceiling treatments are a great way to add a chic aesthetic to your space. Fabricoil works to diffuse light while adding just the right amount of luster and definition to enhance intimacy for high-end interiors. Architects and designers can suspend panels vertically to sculpt spaces and convey movement – or horizontally oriented, flush with the ceiling. Fabricoil ceiling treatments can be specified to cover the whole ceiling area, near light sources only, or for entirely unique designs to accentuate the room. With a range of materials, finishes, weave sizes, and gauge options, designers have the ability to custom create interiors that provide a variety of aesthetic and performance benefits.